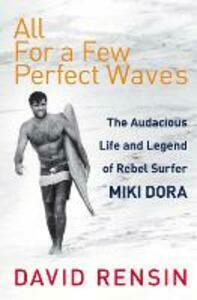 There will never be another surfer like Miki 'Da Cat' Dora. For twenty years the dashing and enigmatic dark prince of California surfing dominated the Malibu waves and his peers' imaginations, blazing a trail that would inspire generations to come. But when the sport exploded into the mainstream and surfing changed for ever, Dora's paradise was lost. Outraged at gridlocked swells and a scene that had grown ever more commodified, Dora eventually fled Malibu, seeking empty waves - and anonymity - beyond America. He'd also run afoul of the law, and he led the authorities on a seven-year chase around the globe. Yet, Dora would never give up searching for the spirit of the Malibu he'd lost. Wherever he made his home - New Zealand, South Africa, France - he personified the rebel heart of surfing and became a legend in his own time. This brilliant biography, based on interviews with more than three hundred people who knew Dora, finally uncovers the truth about surfing's most seductive and complicated icon.